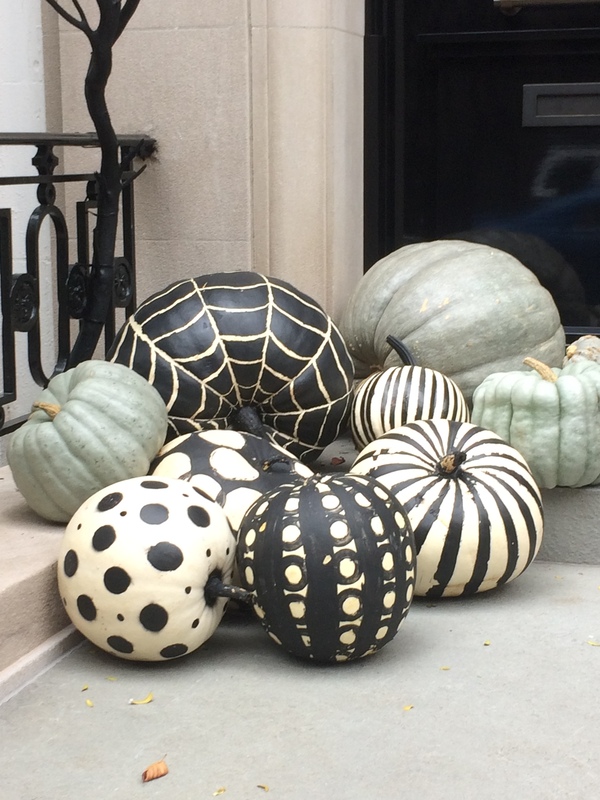 I saw this striking Halloween display in front of a town house on the Upper East Side. I think the black paintings on the white pumpkins offer some fun geometric patterns that mirror the shapes of the pumpkins. Not too scary!